Unlike Western blots, RPPA does not resolve protein fractions by molecular weight, thus, signal could originate from unspecific primary and/or secondary antibody binding. Therefore, the reliability of this technique critically depends on antibody monospecificity. Antibodies are first validated for monospecificity and performance by conventional Western blotting, followed by RPPA. A Pearson correlation of >0.7 between WB and RPPA data from the same samples deems an antibody 'valid for RPPA'. In this link we will be posting the list of antibodies that were found to be valid for RPPA. 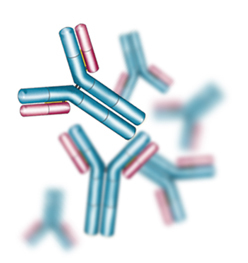 We welcome collaborators to submit their antibodies or samples for validation.